GLAMPING UP IN THE TREES! When was the last time you climbed a tree? There’s something unique about being high up and looking at your surroundings from a different perspective. Our TreePods Heavens Above! 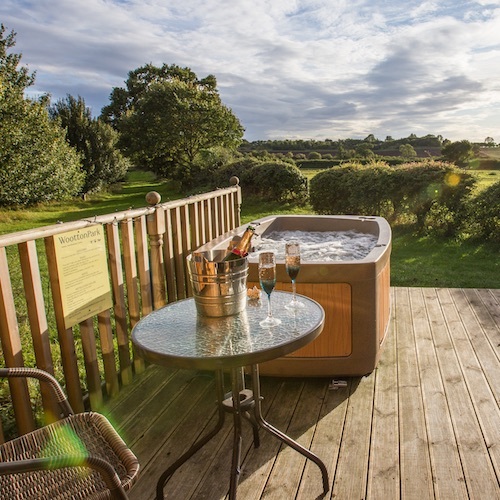 and Over the Moon are set 11 feet up in the trees with your own private hot tub on the decking. And you don’t have to climb a tree or a ladder to get there – just 20 steps! 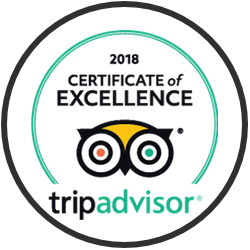 Perfect for a romantic break or just to get away from it all. 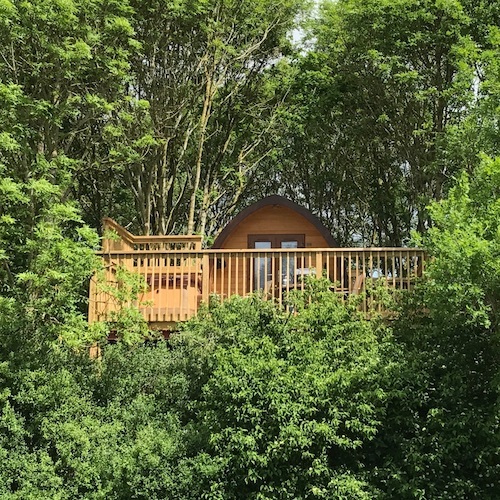 Our TreePods are ensuite and self-catering up on stilts in the trees with private hot tub on the decking and fabulous views up to the hills. Different to your average hotel room! 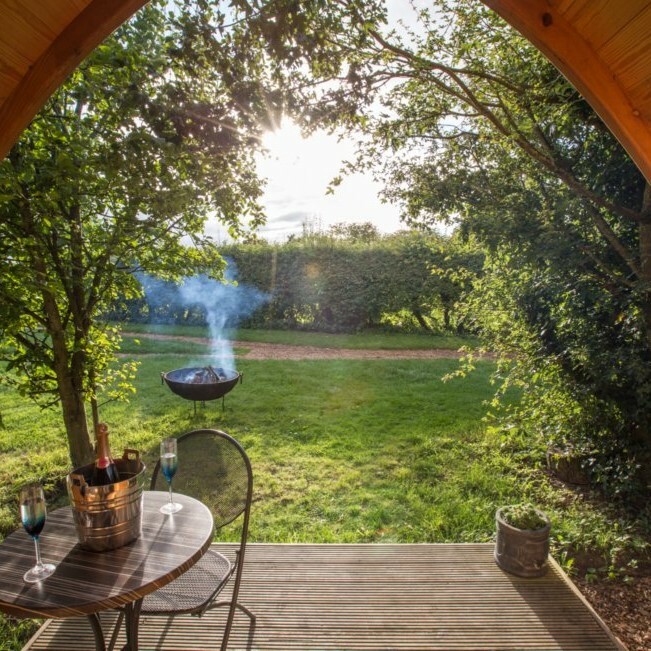 You’ll be in luxury in our TreePods but right next to nature too. Sip champagne under the stars in a hot tub and listen to the wind in the trees. Watch the sunset together and wake up to the dawn chorus . . .
Love the outdoors but want your luxuries too? 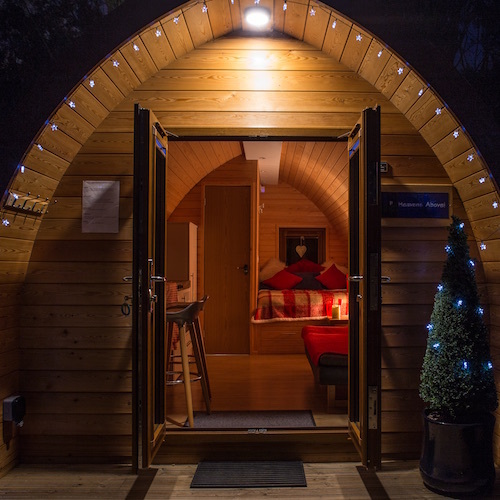 Our MegaPods are an affordable glamping option. 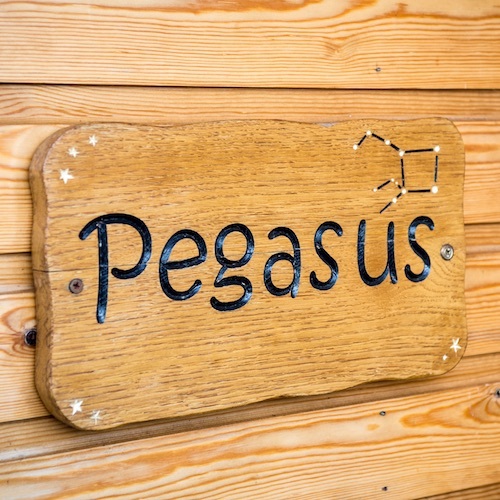 You’ll be cosy in Pegasus or Andromeda MegaPods, with your own private hot tub on the decking. 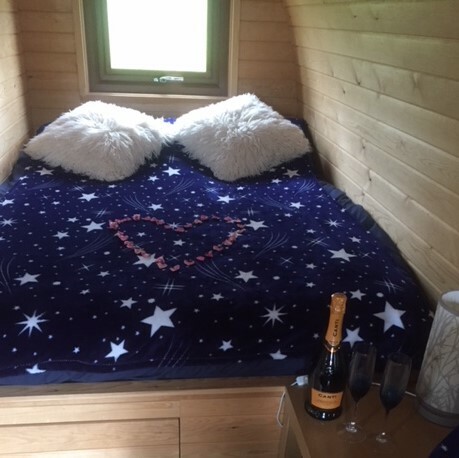 Our MegaPods are ensuite and self-catering with private hot tub on the decking and fabulous views up to the hills. 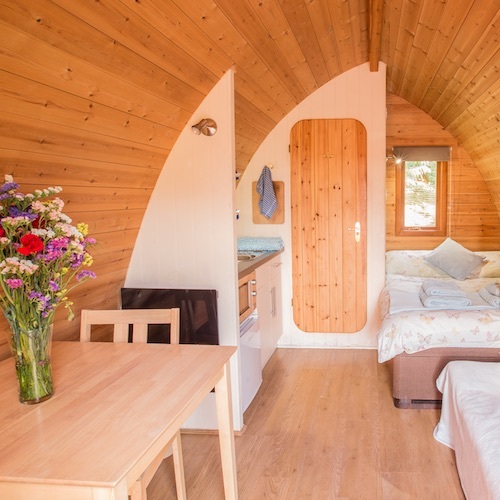 A stay in our MegaPods is a wonderful way to get away from the fast pace of modern life. You can bring your meals already prepared to warm up in the microwave while you are here, or you can cook on the BBQ. Or if you prefer, you can eat out in nearby Henley in Arden, or even order a take away to be delivered to your Pod! 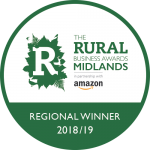 Looking for Glamping for a group of people? This little group of GlampingPods (Mistral, Sirocco, Meltemi and Zephyr) set amongst the trees are cosy with a double bed, bedding, towels and bathrobes. The shower and WC Pod is just steps away and there’s also a BBQ, fire pit and outside seating area. Also you have exclusive use of one large hot tub nearby for your party with fabulous views up to the hills. Perfect for a birthday celebration, family / friends get together, anniversary or hen night / weekend. 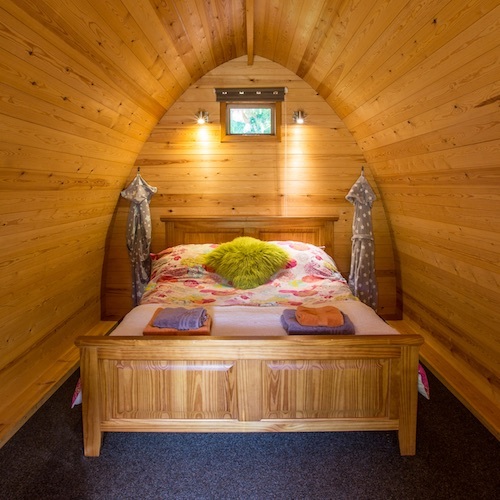 Our GlampingPods are set in a private woodland with a separate shower and WC pod. Cooked breakfast is included. 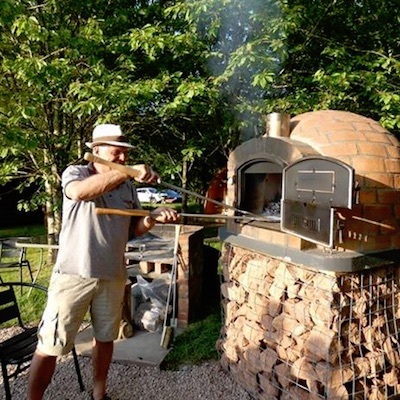 We’ve recently added a NEW Pizza Oven to Pod Park too!